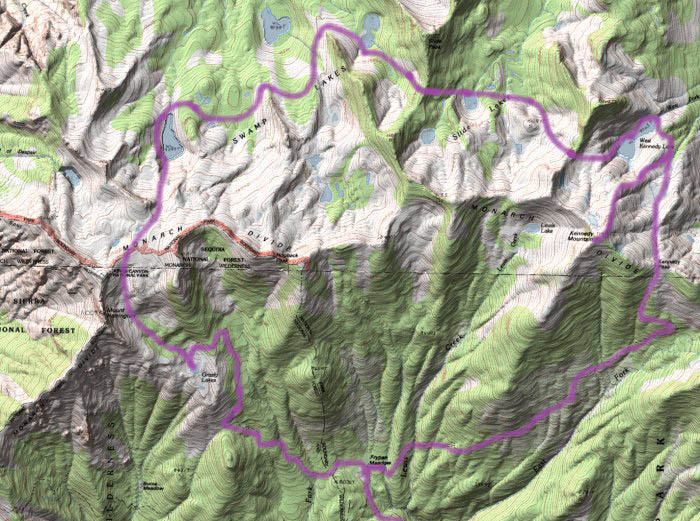 A hiking route was drawn onto a USGS topographic map, which was then draped over a terrain model of the same area. 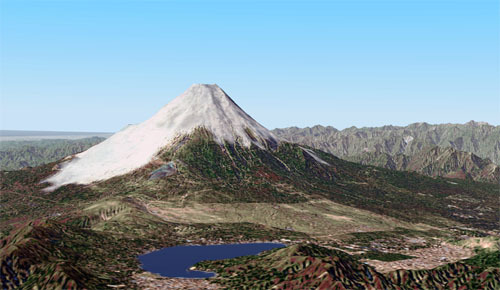 Natural Scene Designer automatically aligned the topographic map with the underlying terrain model. Then the program rendered the combined layers as a shaded relief map. 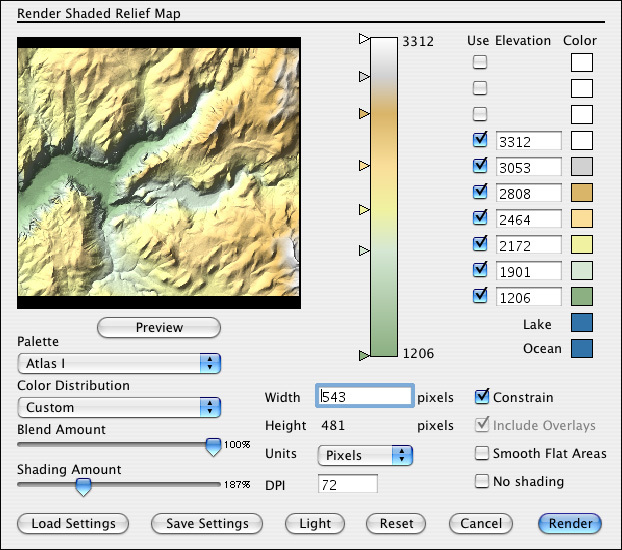 Natural Scene Designer features a versatile shaded relief map renderer. 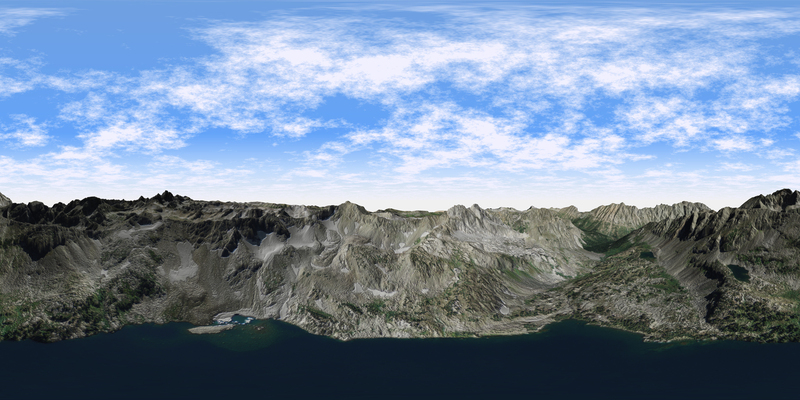 You can create immersive 3D panoramas of scenery using Natural Scene Designer.